The solar system consists of all the planets that orbit the Sun, as well as a multitude of asteroids, comets, space trash, moons and gas. 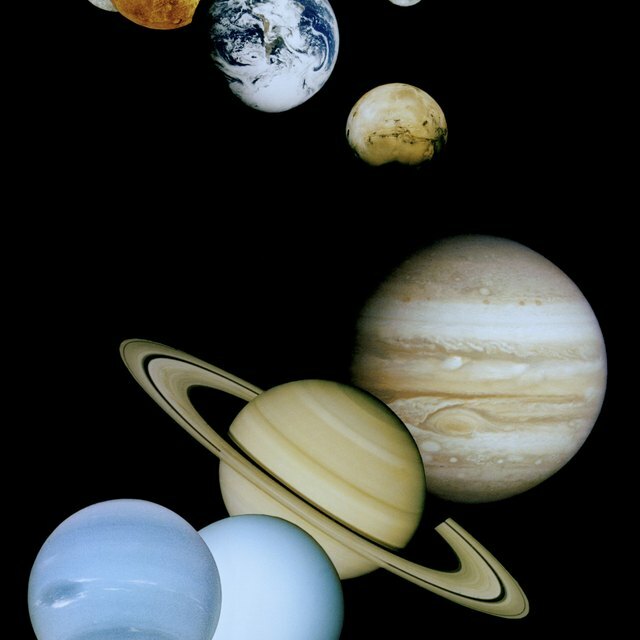 Although it's difficult to model all of this with balloons and Styrofoam, building your own model of the solar system is a fun way to learn the order of the planets while having them at your fingertips. Effectively building a solar system model is a matter of accessorizing your balloons so that you can recognize the individual planets, and placing your balloons in the appropriate order of orbit around the sun. Stick thumbtacks into the yellow Styrofoam ball to form a ring of 10 thumbtacks. The yellow ball represents the Sun, and the 10 thumbtacks will be a useful way of holding the balloons to the sun. Blow up each of the 10 balloons. Every balloon, when blown up, should be substantially smaller than the sun. Mercury, for instance, should be about 1 inch in diameter. Venus and Earth should be about 1.5 inches; Mars should be about 1.25 inches. 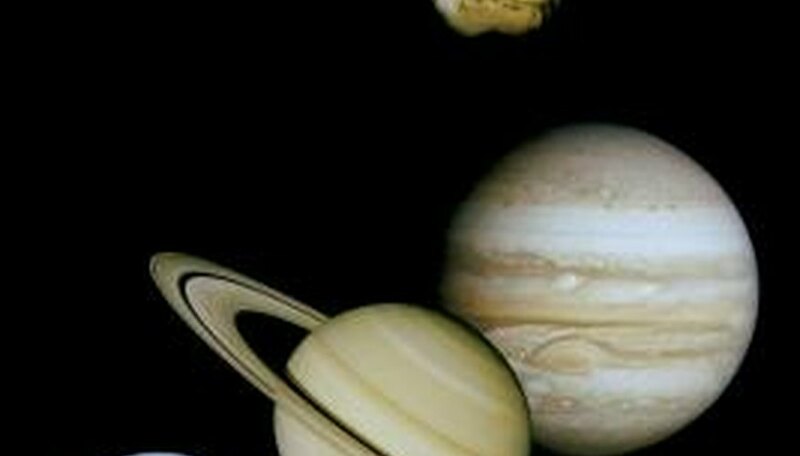 Jupiter should be 4 inches in diameter, Saturn 3 inches, Uranus 2.5, Neptune 2, and Pluto 1.25. Use spray paint and other accessories to make the balloons the appropriate colors for their respective planets. For instance, make Earth blue and Mars red. Consider attaching Monopoly houses and pieces of litter to Earth, to model the effects of humanity on Earth. You may wish to place Styrofoam rings around Jupiter, Saturn, Uranus, and Neptune, which are characterized by rings, and glue pieces of metal and rock to Mercury, Venus, and Mars, to show that they are the "rocky" planets. Tie a short ribbon to the bottom of each balloon. Wrap the ribbon between the head of the thumbtack and the Styrofoam ball, then use the thumbtack to secure the ribbon in place. Use smaller balls of Styrofoam, metal or other crafts to model the extraneous parts of the solar system that normally aren't included on solar system models. Your creativity is the limit! Lobo, Tricia. "How to Build a Model of the Solar System Out of Balloons." Sciencing, https://sciencing.com/build-solar-system-out-balloons-8400764.html. 24 April 2017.